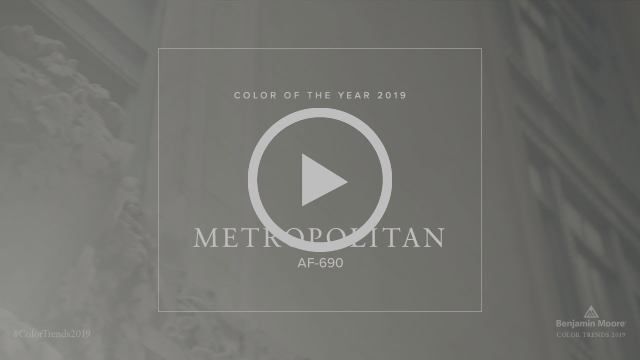 Last October we announced our 2019 Colour of the Year, Metropolitan AF-690, alongside a palette of 15 harmonious shades that together create an adaptable, comforting and effortlessly sophisticated collection that can be used to create exceptionally beautiful, contemporary schemes for your home. The Colour Trends 2019 collection reflects a cultural shift towards "quiet intensity" in interiors, the arts, international architecture, textiles and home furnishings. 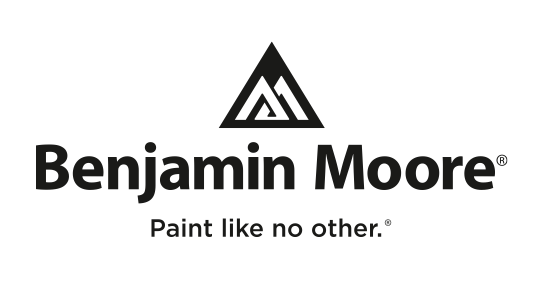 The collection embodies the narrative of adaptability, balance and modest allure with a strong link to nature when compared to the much more vibrant and bold tones we've seen in recent years. 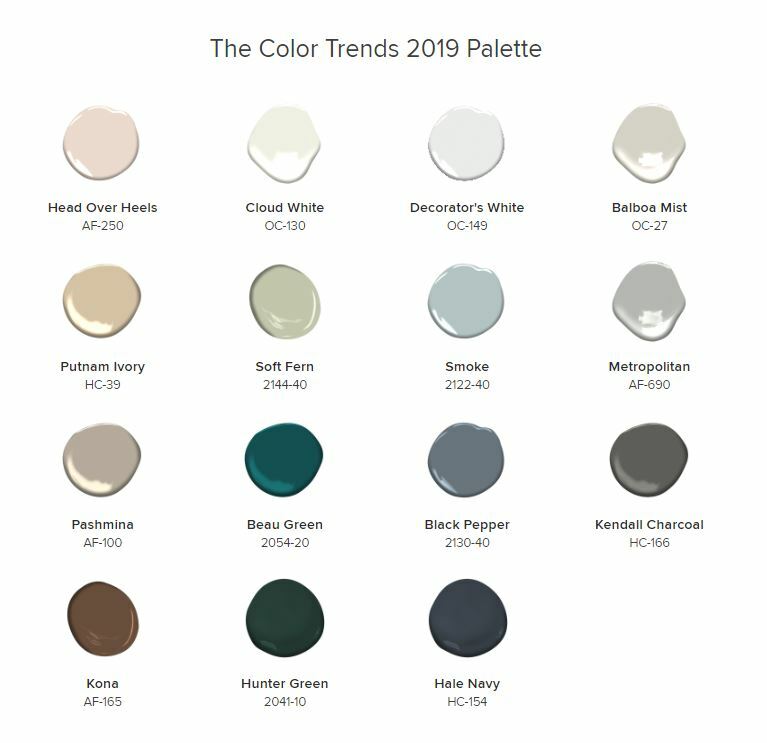 The palette of 15 timeless shades features soothing blues, warm and cool neutrals, sophisticated off-whites and restful pales, meaning it can be used to create a sense of flow, soothing calm and serenity while having enough punch to deliver an elegant, statement feel. Below, we take a look at the colours in turn and introduce their individual qualities, as well as giving you some inspiration for how to combine the tones to create an effortlessly balanced scheme. 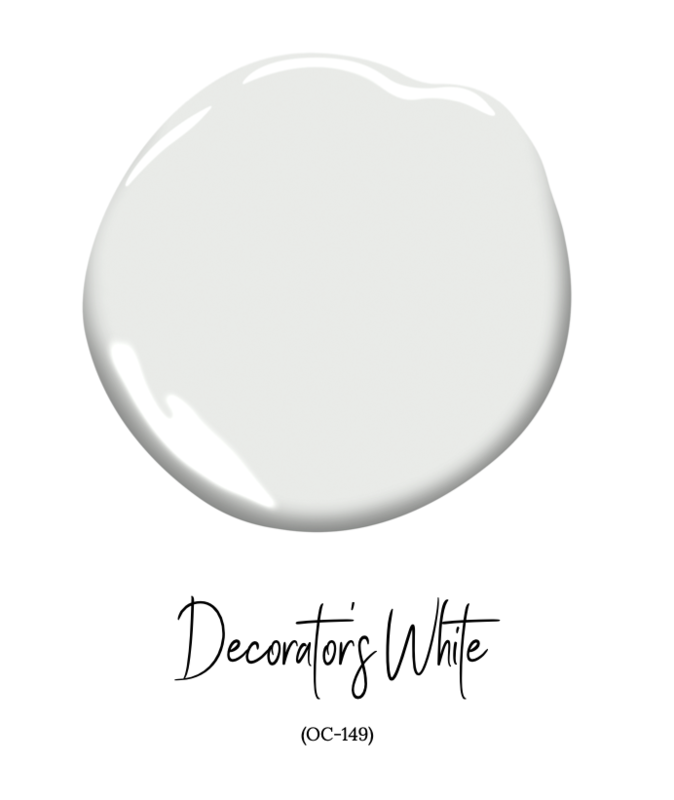 Decorators-White OC-149 is a soft, grey toned white which is a staple for many Interior Designers. 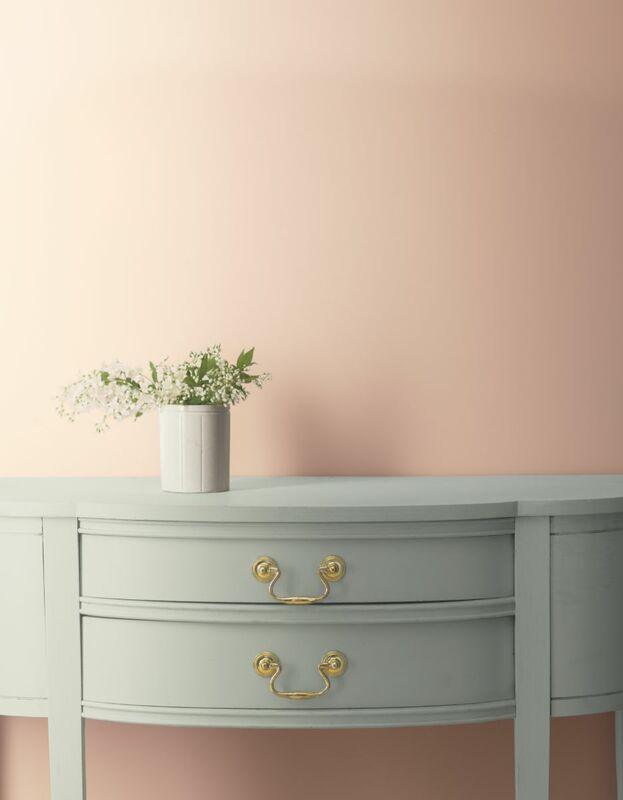 This serene hue works perfectly as a ceiling or woodwork colour alongside the stronger shades of our 2019 palette, or is a perfect wall colour for brightly lit spaces where you want to use a white that doesn't feel too stark and clinical. 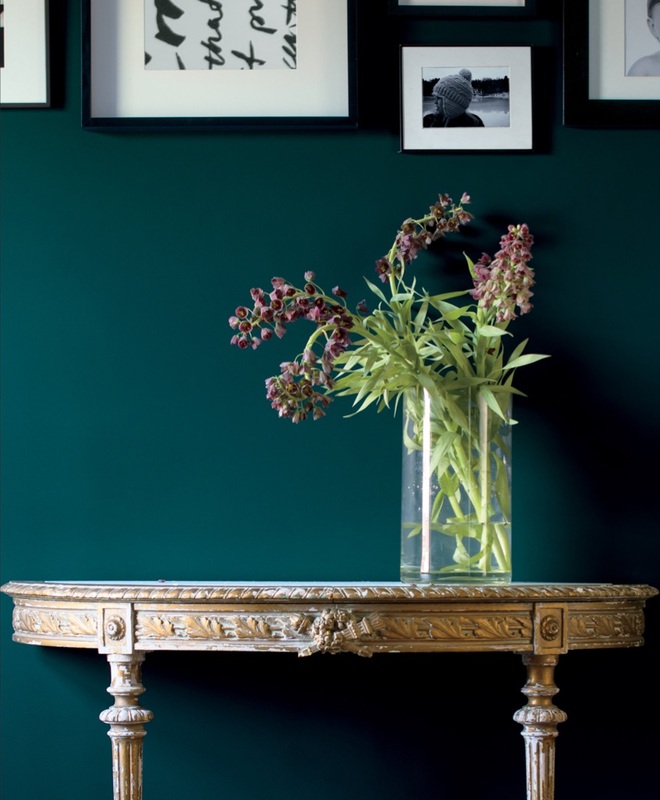 The absence of any coloured undertones makes it a perfect transitional colour, meaning it can link adjacent spaces and make them feel harmonious. 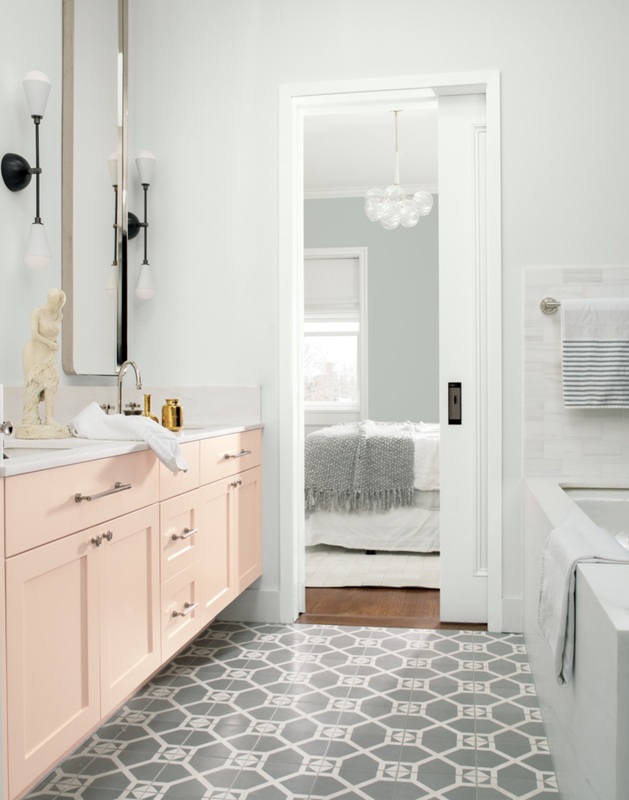 This bathroom pairs Decorator's White on the walls, painted with Aura Bath and Spa, with Head Over Heals on the cabinets, painted with Advance Satin. 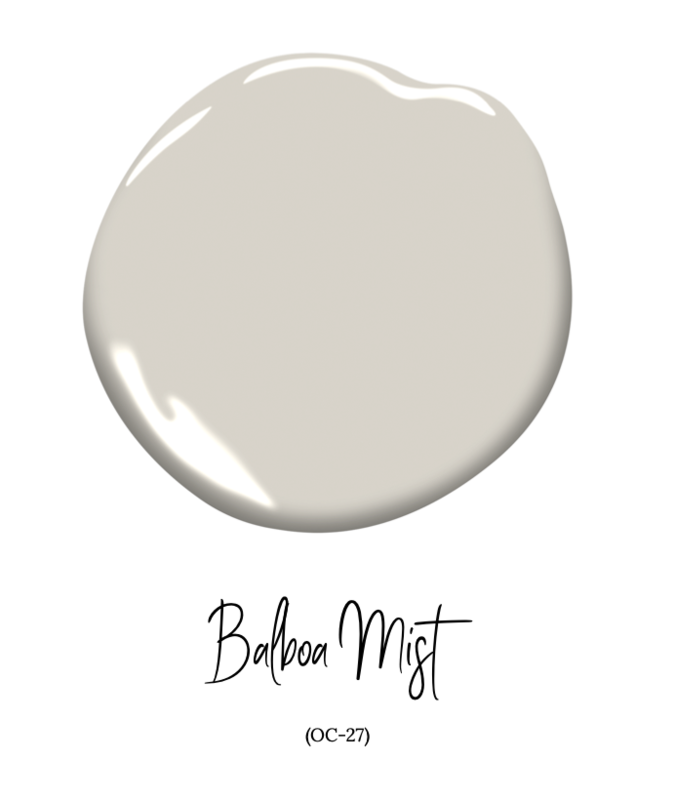 Over recent months, we have seen Balbao Mist OC-27 become one of our most popular warm grey shades. 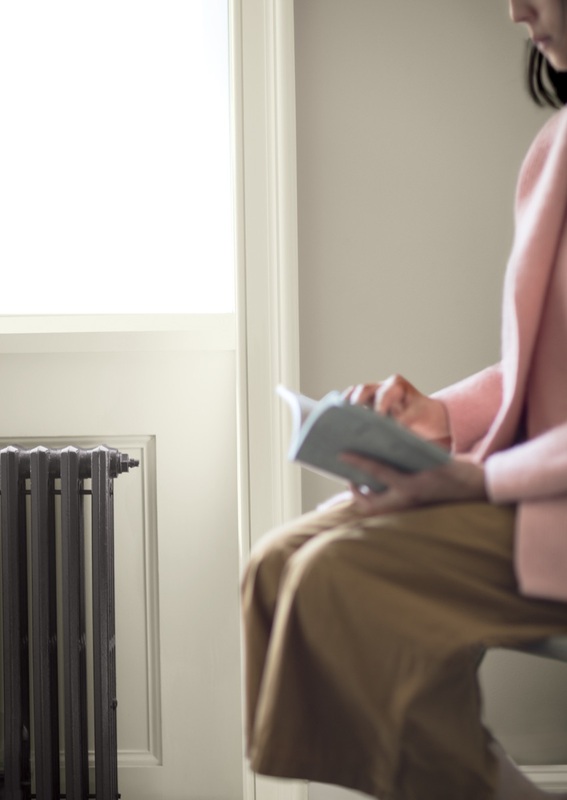 It seems to be particularly suited to British homes because its warm, muddy tones make spaces feel comfortable and inviting even on a cold, overcast day. It is also dark enough to have drama and impact, but light enough to keep a smaller room feeling airy and spacious. Here the woodwork is painted in Cloud White OC-130 in Regal Select Pearl which gives definition to the soft, meditative ambiance created by Balboa Mist OC-27 in Regal Select Flat on the walls. 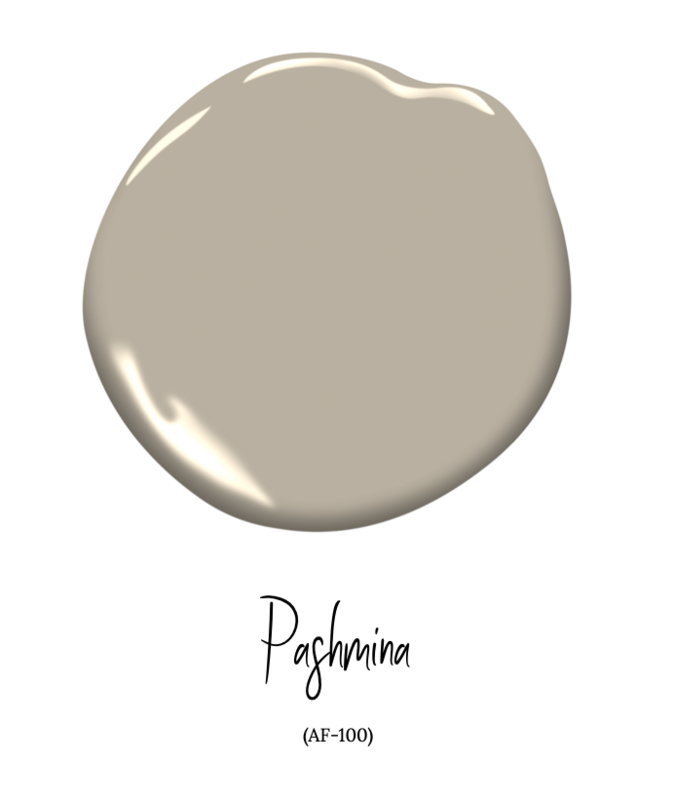 Pashmina AF-100 is a warm, mushroom-toned neutral that sits more on the beige side, rather than the grey side, of "greige" (and is a couple of shades darker than Balboa Mist above). It works really well with warm toned woods, tiling and counter tops and has enough of a grey undertone to make the overall scheme feel more contemporary than choosing a traditional beige tone would. So if you want to give a space a contemporary update but can't necessarily change some of those expensive fixed elements, then Pashmina AF-100 is a great choice. 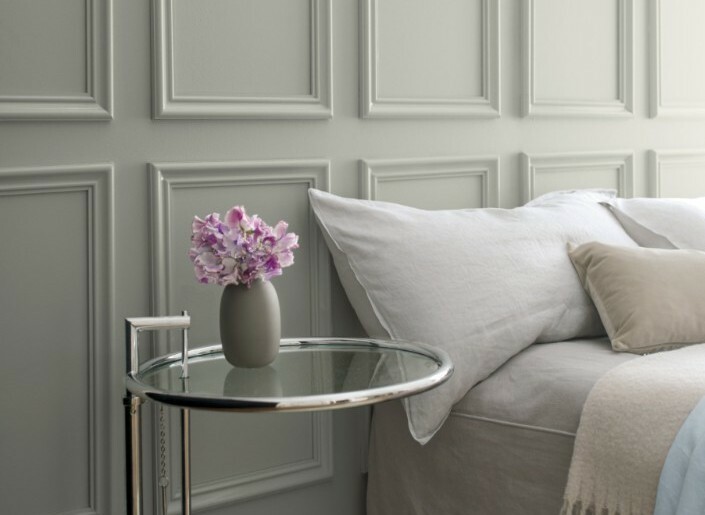 Our "Colour of the Year", Metropolitan AF-690, is a nuanced, pale grey tone that, despite its cool undertones creates a sense of calm and comfort, rather than feeling cold and stark. 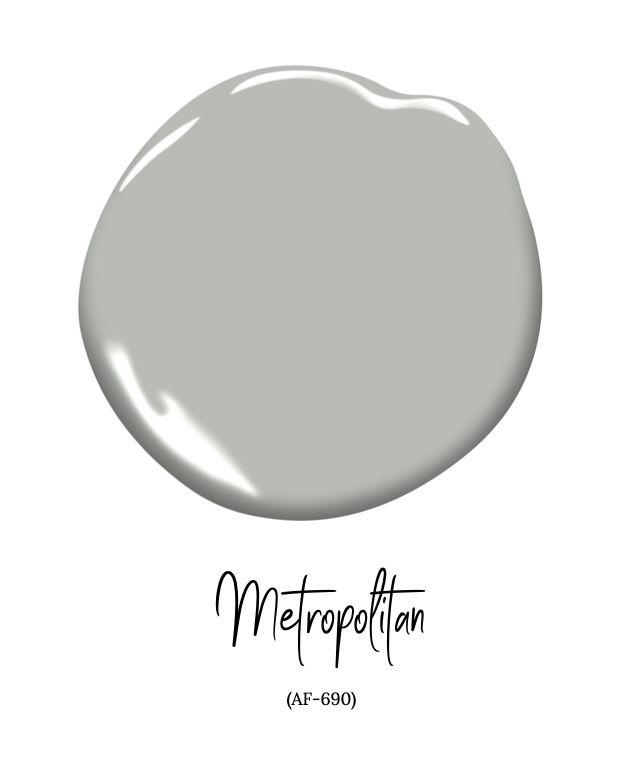 Since announcing Metropolitan AF-690 as our Colour of the Year in October 2018, Homeowners and Designers alike have fallen in love with its versatility and restful ease. Metropolitan AF-690 is a perfect neutral, making it a great backdrop for accessories and furnishings with stronger shades, patterns and textures, but it has enough presence on its own to create a dreamy space that feels like a retreat after a hectic day. 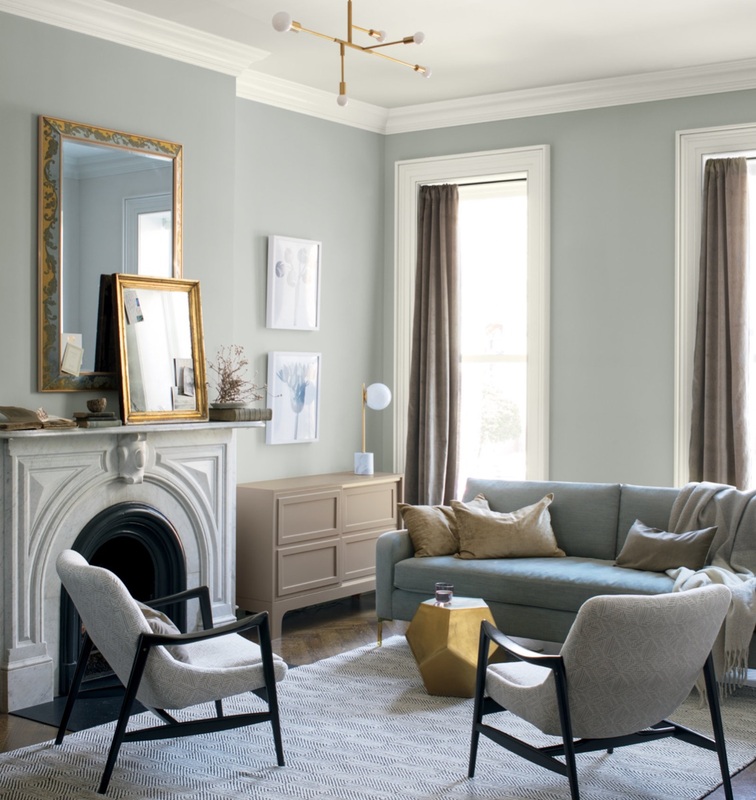 This colour is a subtle blend of calming green, silvery blue and smokey grey. The aptly named Smoke 2122-40 infuses a space with comfort and contemporary style and is a great choice for a space where a cooler grey or blue would feel too stark and cold, such as a north facing space. 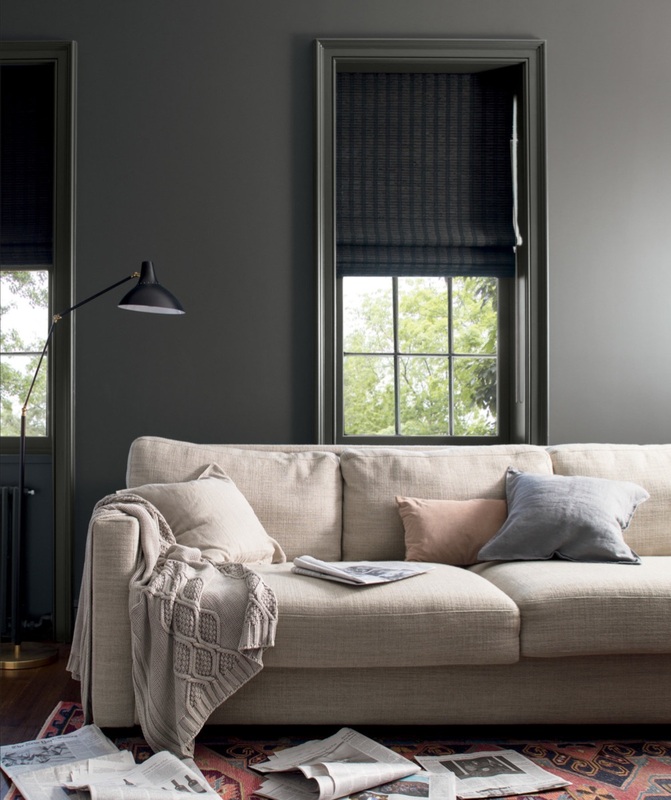 While Smoke 2122-40 could never be considered a neutral in the traditional sense, the blend of three undertones does mean the colour is exceptionally versatile, pairing equally well with cream accessories and warm wood tones, as with charcoal accents and rich navy blue. 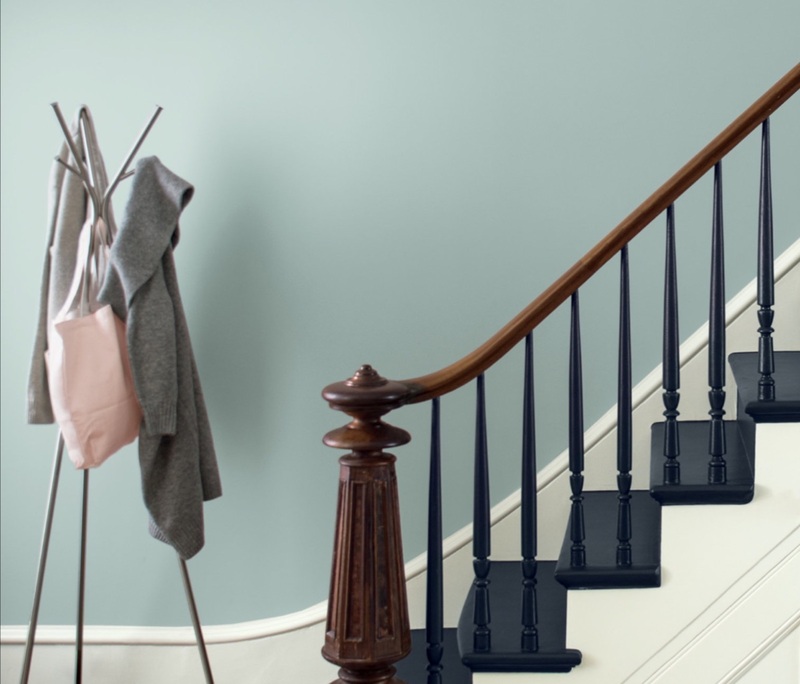 This hallway, which emanates inner calm, is painted with Smoke 2122-40 in Aura Eggshell on the walls, with Decorator's White OC-149 on the woodwork and Hale Navy HC-154 on the stairs treads. 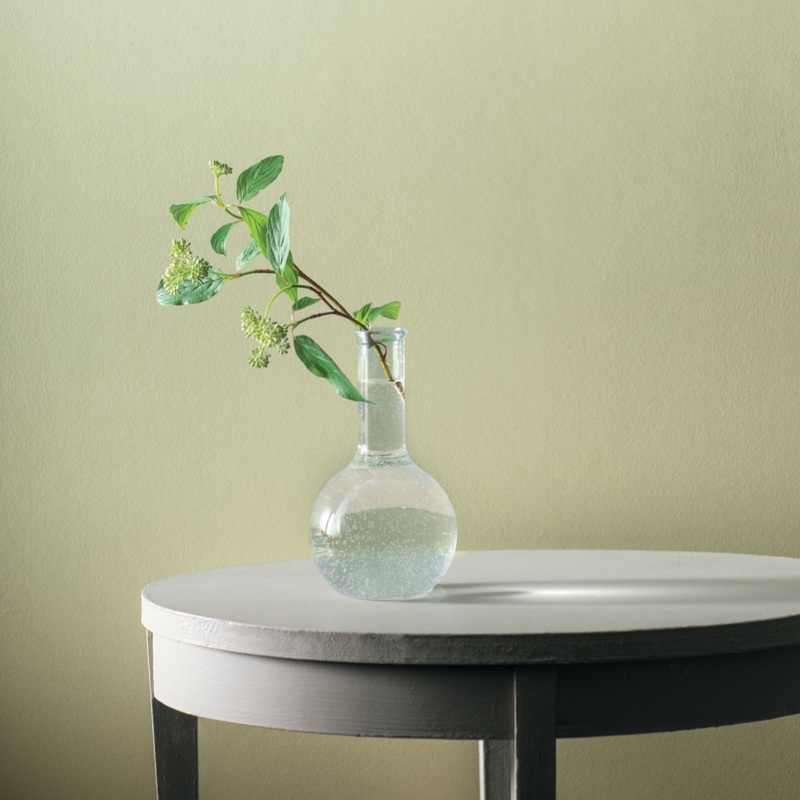 Soft Fern 2144-40 is a dreamy, chalky green-grey that brings a tranquil feel to a space. Green is a colour that most of us find calming and has strong associations with promoting a sense of wellbeing, most likely because of the link to the natural world. 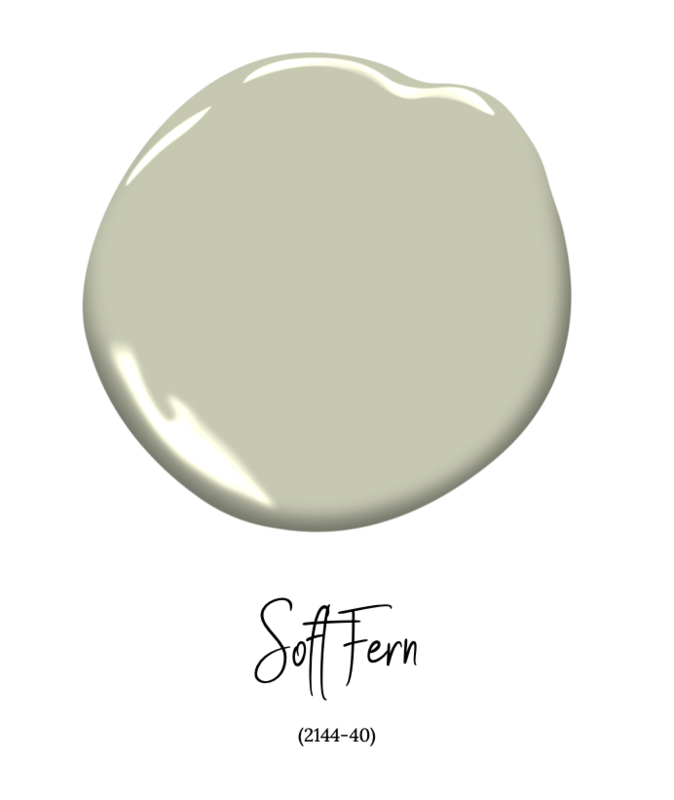 Soft Fern 2144-40 features warm ochre and misty grey undertones and so it strikes a great balance between feeling tranquil and cozy, meaning it works well in rooms of any aspect. 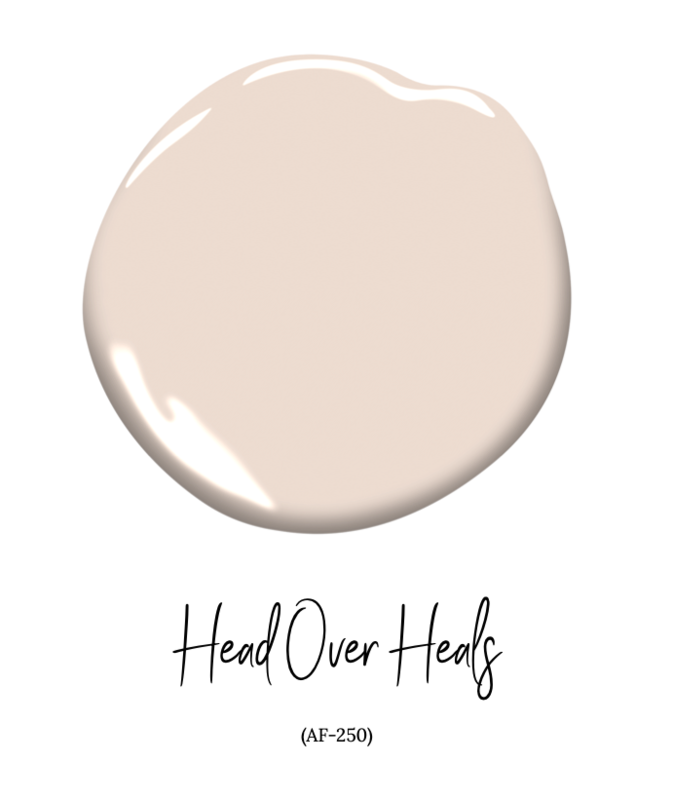 As with the rest of our Colour Trends 2019 collection, the hint of a grey undertone in this peachy-pink means that Head Over Heals AF-250 feels sophisticated and restful. It is a versatile pink that can be used in combination with the rest of the palette to create quite different looks. To create a serene Scandi vibe, pair Head Over Heals AF-250 with Hale Navy HC-154 and Metropolitan AF-690. Alternatively, take inspiration from nature and layer Head Over Heals AF-250 with the Soft Fern and Pashmina AF-100 for an uplifting, airy feel. 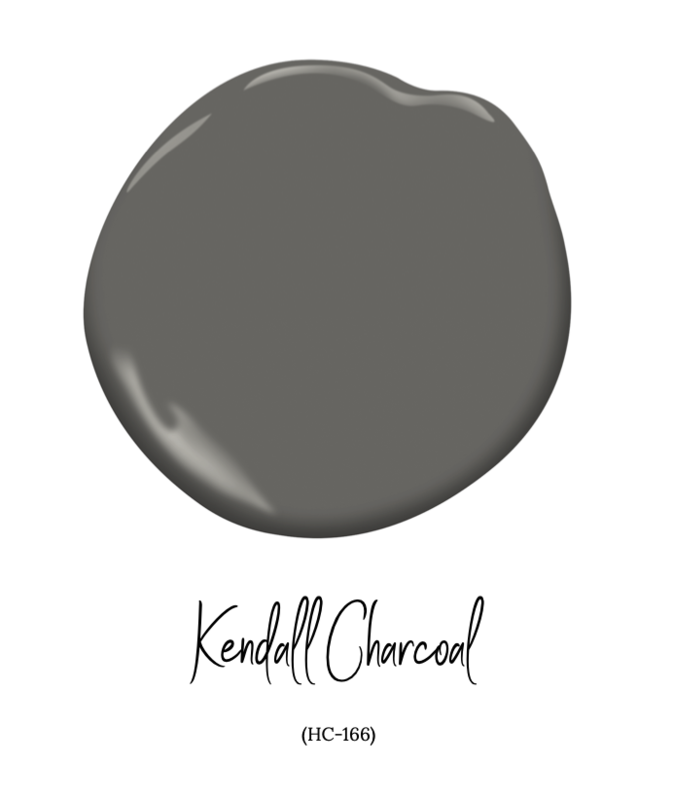 Rich, deep and luxurious, Kendall Charcoal HC-166 has a hint of warmth, without having obvious brown or taupe undertones - so it wont read as blue or cold, nor will it read as brown, making it the perfect charcoal for a large feature wall or an all dark-grey space. This colour is especially useful for dual aspect spaces where changes to natural light throughout the day can make getting the right grey really tricky. Such a versatile neutral is of course a staple in an Interior Designer's palette as it works so well with virtually every colour pairing and can be used to create contemporary or more traditional spaces. Here Kendall Charcoal HC-166 in Aura Eggshell looks velvety and is layered with flax-colour fabrics to create a truly comforting space. Black Pepper 2130-40 on the other hand, has moved firmly over to the bluer side of dark grey and therefore creates a more contemporary feel when used with the cooler tones in this palette, such as Smoke 2122-40 and Metropolitan AF-690. Here Black Pepper 2130-40 is used as the main wall alongside Cloud White OC-130, which offers an inherent warmth to the scheme alongside the selection of a natural floor covering. 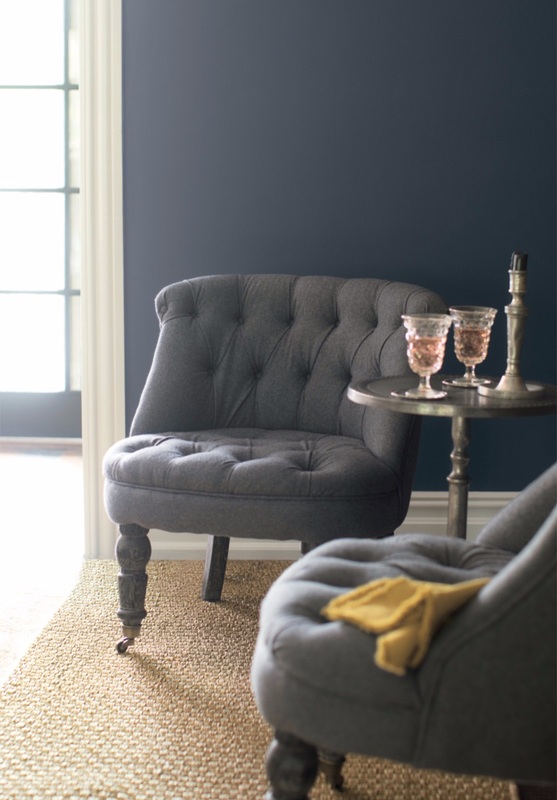 If you search online Benjamin Moore Hale Navy HC-154, you will find pages and pages of Designers raving about this luxurious deep blue tone, and a tonne of inspirational ways of how this shade can be used. A muted, rather than vibrant navy, Hale Navy HC-154 contains the faintest hint of magenta pigment to ensure it feels warm and sumptuous. The perfect blend of deep blue and soft grey means Hale Navy HC-154 can pair equally well with both the cooler and warmer neutrals in this palette. Hale Navy HC-154 is an ideal choice for kitchen cabinets, perhaps to accentuate a central island alongside paler wall units. It works equally well in a bedroom alongside crisp white linens to create an sophisticated boutique hotel feel. 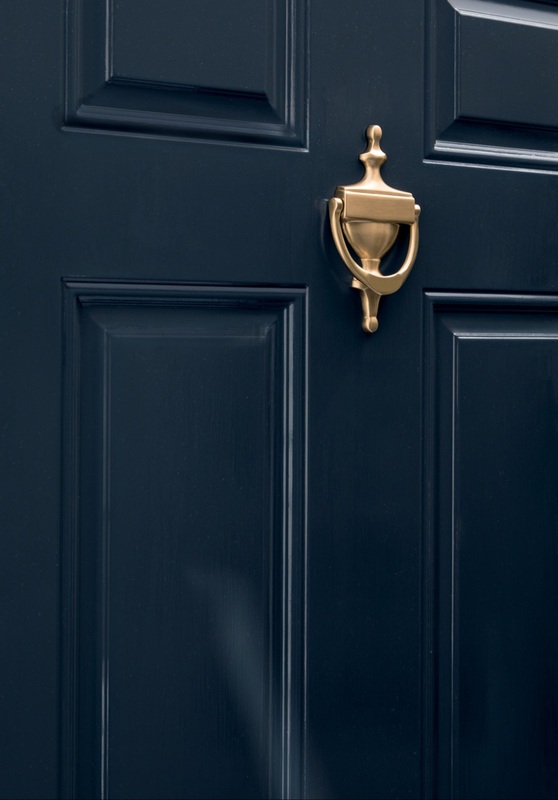 Finally, it pairs perfectly with brass or chrome door furniture for an elegant, eye-catching front door. Hunter Green 2041-10 is a deep forest-green with a yellow undertone that has fantastic depth and character, making it a great choice for a space where you want to create a sense of drama. 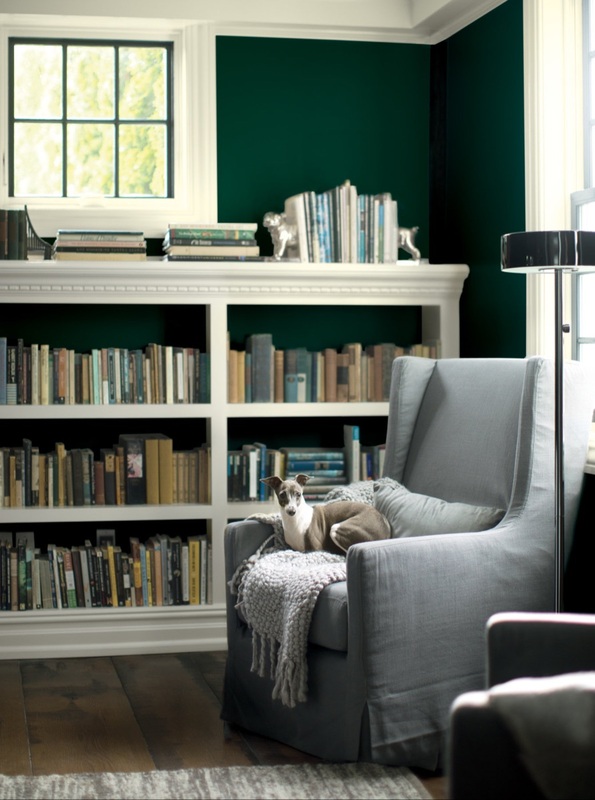 In this traditionally styled reading corner, Hunter Green 2041-10 is paired with Cloud White OC-130 on the coving, architrave and bookshelf to create a sumptuous feel. Beau Green 2054-20 is one of the more vibrant tones in our Colour Trends 2019 collection and has a radiant quality that makes a strong statement. It works perfectly as an accent alongside gleaming metallic accessories, whether they are contemporary or vintage, to deliver a touch of glamour. Here, Aura Eggshell has been selected as the finish to give the colour even more depth and a sense of luxury. 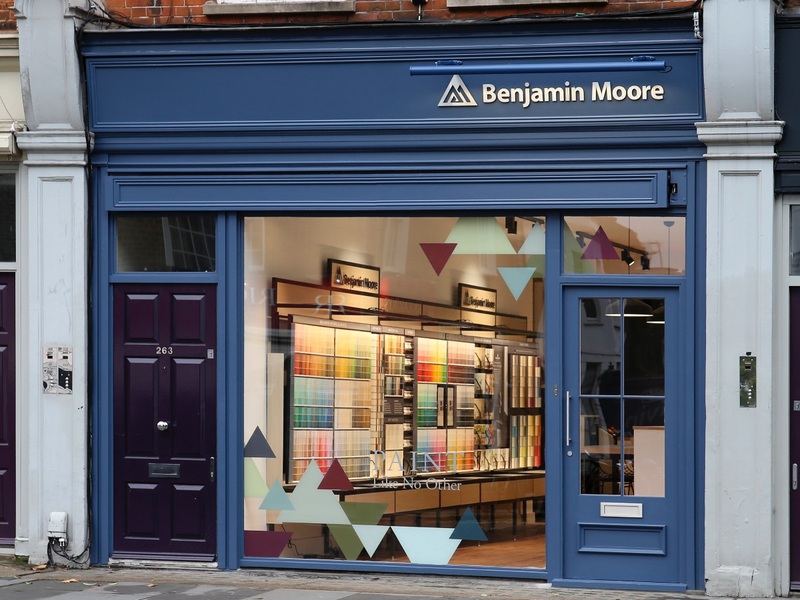 Our showrooms and stockists have our Colour Trends 2019 colour card in stock now, so pop in to pick up your copy. We will be announcing several new locations in February, so stay tuned!